Looking for your child to have a super awesome, active and adventurous birthday celebration or more? Adventure Time indoor rock climbing and outdoor kids rock climbing parties to suit all. 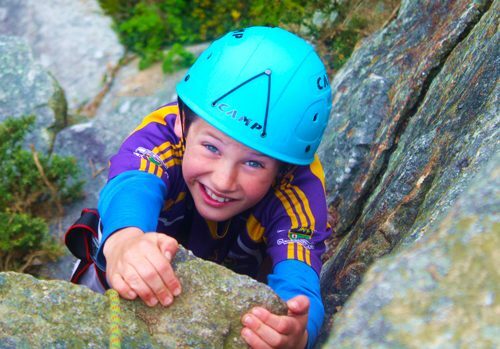 We provide safe, adventurous activities for children’s parties within the spectacular surroundings that Dalkey quarry has to offer or choose indoor rock climbing in Finglas. Kids rock climbing parties are super popular and super fun. 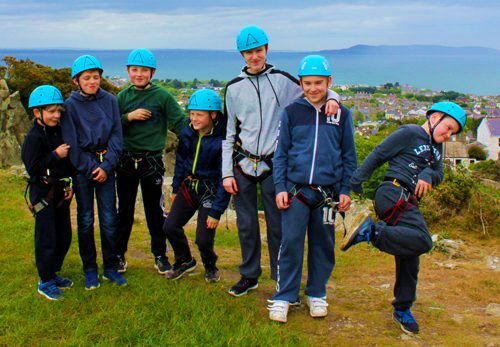 All our climbing parties experience either a half day or full day of climbing fun, offering a mixture of bottom belay climbing, abseiling and bouldering. 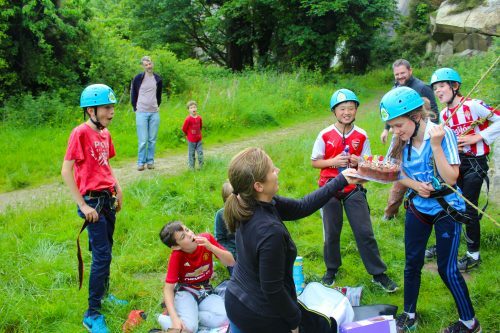 Each party starts with a short safety briefing and putting on climbing harnesses and helmets – it’s important all the children understand that they need to do what their instructor tells them. We start with some team games before beginning the activity. We offer two exciting adventure packages to suit even the most adventurous youngster. An accompanying adult must remain at the party. Groups of 12 or more may be split into 2 groups for some activities.